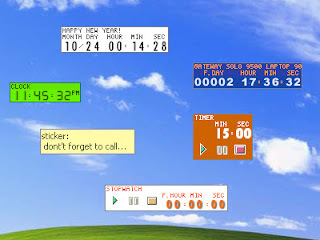 TimeLeft is a clock (also Windows tray clock replacement), countdown, Web countdown, work days and work hours countdown, reminder (including Moon phase reminder), alarm clock, stopwatch, timer, desktop sticker, eBay auction watch, and time synchronization utility. TimeLeft uses Winamp skins to show digits and text. Reminder offers virtually endless customization options, it can alert you at a specific moment or run periodically, and remind you before a specified event or keep on reminding you after it. The reminder can show message, play music, open a link or document, or shut down your PC. What's new in this version: Version 3.58 improves clock, timer and countdown modules, fixes auction watch.